This is a special guest contributor post by Brandon Leuangpaseuth. 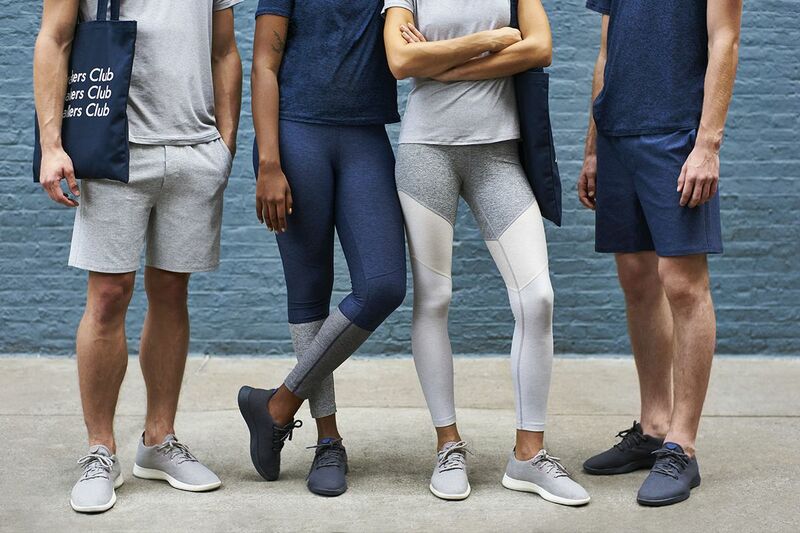 Let’s say you want to start selling private labeled products on Shopify. …you are completely blind to customs regulations and compliance rules in China. You do not want your shipment to be delayed, penalized or even seized. Getting your freight safely shipped to the USA is critical to jumpstarting your eCommerce store. Before you start trying to transport your freight from China to the USA by yourself– here is what you will need to know about using a freight forwarder to safely ship your order from China to the USA. A freight forwarder may be any agent that is responsible for ensuring that your goods reach their intended destination timely and safely. Let’s say there is a company in Taiwan who makes… backpacks. The freight forwarder organizes for a container to be transported to the manufacturer, where it gets loaded with backpacks. The forwarder then schedules for the container to be picked up by a truck, taken to the docks, and then put on a cargo ship which takes the container to the USA. From there, the forwarder arranges for the container to be emptied and the backpacks shipped to various stores around the USA. The freight forwarder deals with all the warehousing, tracking transportation, booking of cargo space, preparing of shipment, exporting of documents, negotiating freight charges, handling cargo insurance, filing of insurance claims and clearing customs necessary to get your product shipped from China to the USA. Your freight forwarder should be a trusted partner for your supply chain requirements. It is crucial your freight forwarder knows how to manage your international shipping so there are no delays or unnecessary fees. Selecting the right freight forwarder is like choosing the right factory; you are choosing a partner that will help your business flourish. With the surprising ease to label yourself a freight forwarder, and the various freight forwarders available, how do you go about choosing a freight forwarder whom you can trust? One of the best ways to find a vetted freight forwarder is to ask your supplier what freight forwarders they are already working with for exports to the USA. Chances are, your supplier is already exporting goods to the USA and has a list of vetted forwarders for you to use. The supplier’s recommendation will have the experience necessary for handling the specialized requirements for the shipment. Always spearhead your search by asking your suppliers for recommendations. Pro tip: Click here to receive Sourcify’s list of top freight forwarders. To check if your freight forwarder is legitimate or not, you can verify your freight forwarder by contacting banks, trade organizations or searching online review sites. Try to also find a company who has the essential licenses and certifications. 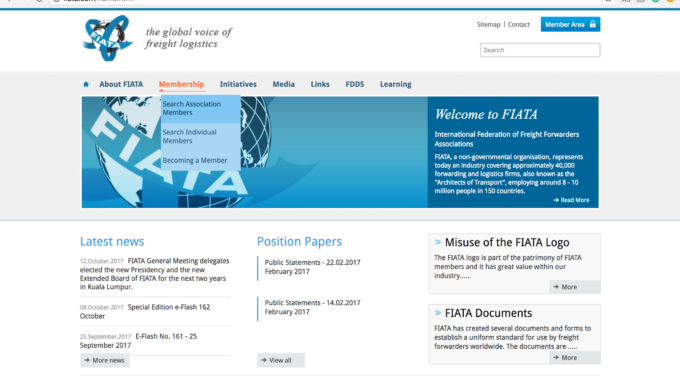 Ask your potential freight forwarder and see if they are members of trade organizations like the International Federation of Freight Forwarders Association (or FIATA). FIATA is a non-governmental organization serving as a representative for 40,000 forwarding and logistics companies. You could even search on the International Federation of Freight Forwarders Association membership website for a licensed freight forwarder. 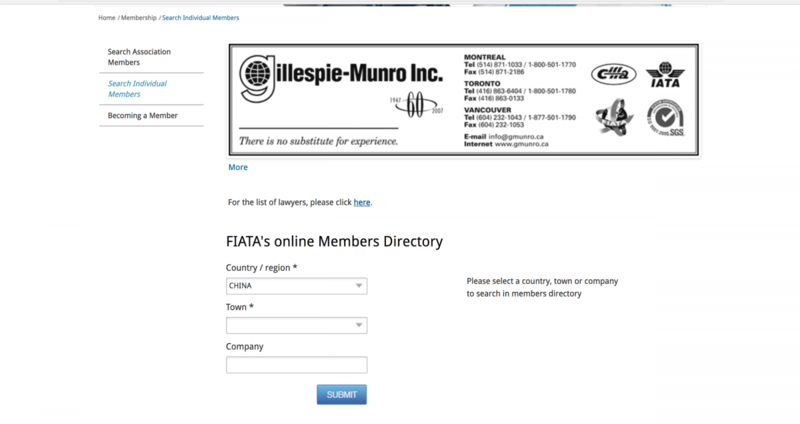 Step 1: Go to www.fiata.com. Hover over Membership on the header and click on Search Individual Members. Step 3: Get connected with a list of licensed freight forwarders in that area. A good freight forwarder is a partner for your business and should act as the global supply chain department. That means they must have great communication. As a service provider, your forwarder should communicate frequently and transparently to you. How fast does your forwarder answer questions? How fast are they responding to rate requests or instructions? Observe if you have to wait on the line a long time just to ask a couple simple questions. Pay attention to if customer service representatives are constantly being redirecting you to talk to another designated person for status updates on your shipments. Imagine how you will feel if you waited a day or even a couple days for a freight quote or status updates on delayed cargo. This is why it is crucial to look at how easy it is to communicate with the forwarder. If the forwarder is active in servicing your needs, you will have some peace of mind because you will know if things were to go wrong, you could count on them to respond to your complications overseas. A reliable forwarder will take care of all your transportation needs, whether you are a first timer or a seasoned professional. Use these tips, do your research, and find a freight forwarder that best fits your business needs. There are two main types of freights you will assign your freight forwarder to deal with when shipping your products from China: Air Freight and Ocean Freight. Air freight is inventory carried or to be carried in an aircraft. Air freight is usually more expensive than shipping by sea but the shipment will arrive to the USA a lot faster. Sometimes, your goods will need to reach its destination as fast as possible. Items which may expire are far more less likely to expire if they are transported by air. Air freight is a great mode of transportation where speed is an essence. Shipping your products by air is also safer than shipping your goods by sea. There is minimal risk in your goods being damaged or destroyed. Airport regulations have stringent rules in place when it comes to handling, stockpiling and securing your package for transportation. Of course, there is always the potential risk that the plane will crash or be destroyed, but, those risks are highly unlikely. Although it is safer and faster to ship by air, shipping by air has its capacity limits. An airplane’s cargo space is substantially less than that of a cargo ship. Since an airplane has significantly less space, space is much more valuable on an airplane and items loaded are much smaller. Shipping your goods by sea is the cheapest form of transportation from one place to another. Most companies opt in to shipping by sea because of the price and capacity of a cargo ship. Since there is a great deal of space on a ship, the expense of that ship reaching its destination is divided by a lot of other companies that have cargo on the same ship. Cargo ships may also carry massive amounts of cargo with no regard to shape or size. Ships are capable of carrying large machinery, cars, and massive equipment. Although ships are the cheapest form of transportation and have a lot of space, they are very slow and unreliable. A plane can deliver goods in a matter of one or two days whereas a ship can take up to one month to ship goods to the USA from China. Ships take a lot longer to cover the tremendous amount of area between China and the USA. Ships are also very unreliable. Delays are quite common for shipments by sea because of the ships running by a weekly schedule and the risk of things going wrong is high. We would generally always recommend shipping your products by sea to save your business money. 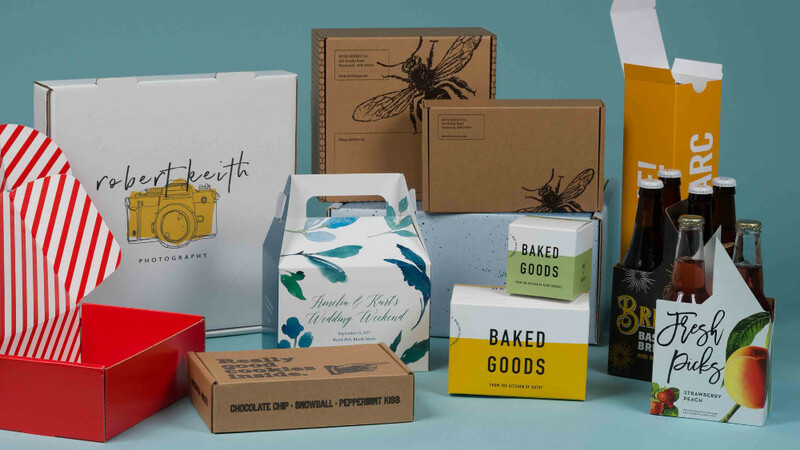 To save some of your product space on a ship, you could even have your products shipped unpackaged and have your boxes shipped flat. By shipping your boxes flat, and packaging your products in the USA, you will take up less room on the ship and ultimately save money. Now that you have found a reliable freight forwarder and decided on your method of transportation, it is time to ship it to the USA. Keep in mind, it is about two thousand dollars cheaper shipping to California than New York. Also, shipping from China to California takes about 2 weeks whereas China to New York takes about 4 weeks. Shipping anything to California would be the fastest and a bit cheaper. Storing your goods near a port will save you big money on transportation. If you decide to ship to California, have it shipped to the port of Los Angeles. Once it arrives, your freight forwarder will be notified. The forwarder will receive and process it through customs and then deliver to a location where it can be prepped for shipment. It can be difficult to understand the shipping and customs process, especially if you have never imported from Asia before. This is why an experienced freight forwarder is a valuable collaborator for your business. Compare at least three different freight forwarders and keep an organized record of the companies you have received estimates from, including what services each one provides. Then use this list to compare and contrast the companies to find the one that is right for your needs. Later down the line, your research will really pay off.